Last week, we discussed how to react when you discover HOA fraud. This week, we discuss when it’s time for legal advice. The short answer is, never! Going to court against your homeowners association is equivalent to suing yourself. Amazingly, the aggrieved homeowner is simultaneously paying for both the prosecution and the defense at the same time. It’s a no-win situation. The association always has the upper hand in terms of cost. They have the money – your money – and they have the big-gun, high-powered lawyers that recoil from representing the minority of small unit owners. Further, the attorney gets paid whether he or she wins or loses a case, so it’s not uncommon for an association attorney to take on a patently frivolous or clearly unwinnable case in order to rack up substantial fees. In that regard, most attorneys will go where the money is, preferring to work for larger associations with big bucks, not relatively inconsequential individual homeowners. Occasionally, an owner will “win” a lawsuit, but at what cost? He or she often spends all of his or her savings and many times bankrupts not only him – or herself, but his or her association as well. Lawsuits can take years – many years. And then there’s the crapshoot of trying to collect damages. Like it or not, attorneys serve an absolutely critical function in community associations – and some of them are superb at problem solving and facilitating agreement. Often a well-worded demand on an attorney’s letterhead is more powerful than all other options. 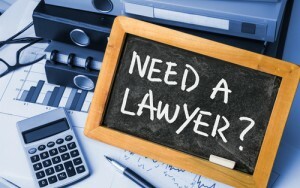 Honest answers to these questions will help you make the right choice in retaining a lawyer. Sometimes it is urgent to hire an attorney. If fraud has been discovered and the perpetrator(s) might be a flight risk, it may be necessary to get an immediate court order to freeze the association’s assets. Far too often embezzlers are caught fleeing the country with dyed hair and their passports and thousands of dollars in cash in hand. 1 Palm v. 2800 N. Lake Shore Drive Corporation, Illinois Supreme Court decision, April 2013.